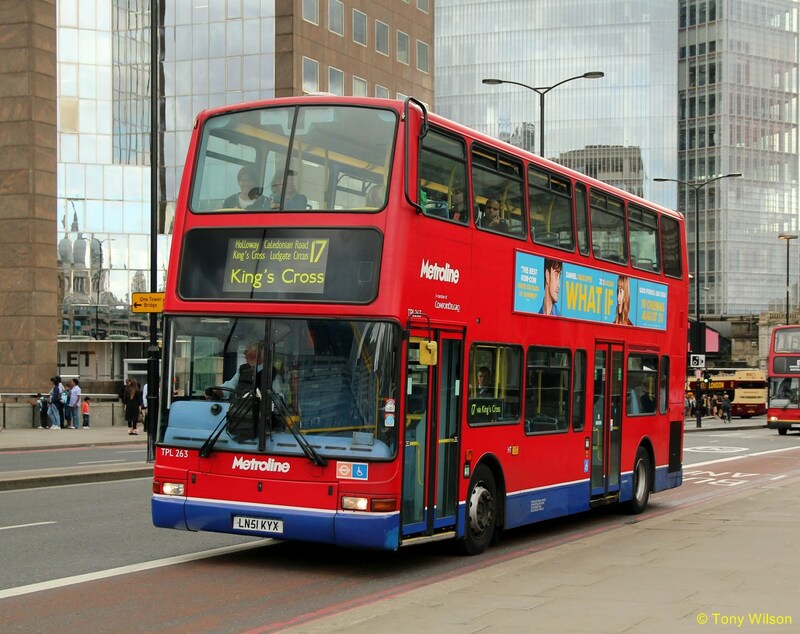 17 (Archway Station & London Bridge Station) Re-awarded to Metroline Travel with new hybrid double-decks (new contract start date 22nd July 2017). 186 (Northwick Park Hospital & Brent Cross Shopping Centre) Re-awarded to Metroline Travel using existing fleet 2009 Euro-IV ADL E40D Enviro400 diesel double-decks (22nd July 2017). 382 (Southgate Station & Mill Hill East) Awarded to Metroline Travel using existing fleet 2012 Euro-V ADL E20D Enviro200 diesel single-decks. Currently operated by Arriva London North with ADL E20D Enviro200 diesel single-decks operated from Edmonton (EC) Garage (15th July 2017). 384 (Cockfosters Station & Barnet) Re-awarded to Metroline Travel using existing fleet 2012 Euro-V ADL E20D Enviro200 diesel single-decks (22nd July 2017). 613 (Worcester Park Station & Sutton Common, schooldays-only) Re-awarded to London United using existing fleet 2008 Euro-IV diesel double-decks (29th July 2017). 662 (Surbiton Station & New Malden, schooldays-only) Re-awarded to London United using existing fleet 2008 Euro-IV diesel double-decks (29th July 2017). 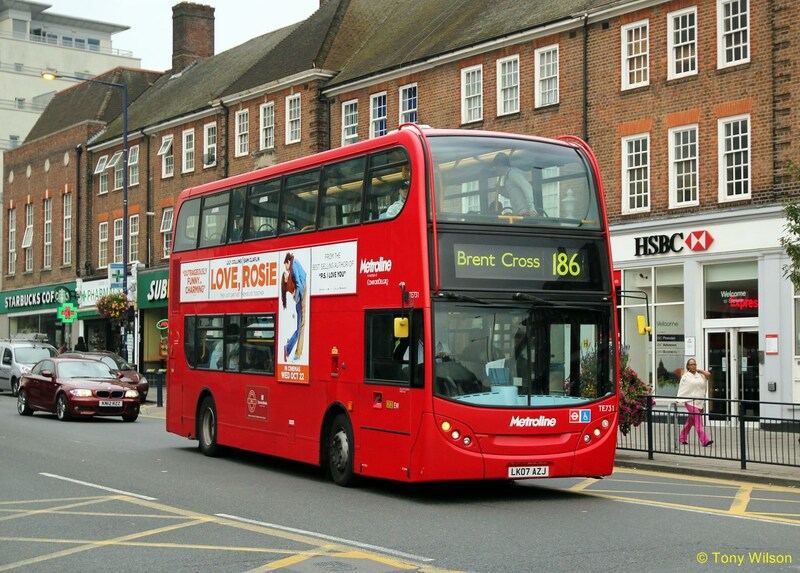 665 (Surbiton & New Malden, schooldays-only) Re-awarded to London United using existing fleet 2009 Euro-IV diesel single-decks (29th July 2017). 671 (Kingston & Chessington South Station, schooldays-only) Re-awarded to London United using existing fleet 2008 Euro-IV diesel double-decks (29th July 2017). C11 (Archway Station & Brent Cross Shopping Centre) Re-awarded to Metroline Travel using existing fleet 2010 Euro-V ADL E20D Enviro200 diesel single-decks (22nd July 2017). W8 (Lee Valley Leisure Centre & Chase Farm Hospital) Re-awarded to Metroline Travel using existing fleet 2009 Euro-IV ADL E40D Enviro400 diesel double-decks (22nd July 2017).